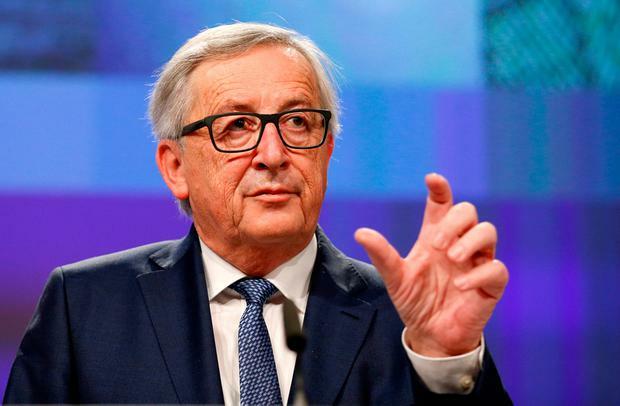 EU Commission President Jean-Claude Juncker will address the Dáil and the Seanad during a visit to Ireland this week. Mr Juncker and the EU’s chief Brexit negotiator Michel Barnier will fly in on Thursday. The timing of the visit will be seen as the EU and Ireland displaying a united front ahead of the June EU Council summit. Mr Juncker will stay here overnight and appear before both Houses of the Oireachtas. The National University of Ireland will also confer an honorary degree on the former prime minister of Luxembourg. He will then be toasted at a State dinner, before spending the night at Farmleigh in the Phoenix Park. Taoiseach Leo Varadkar denied that the visit of the EU heavyweights was a “show of strength” behind Ireland’s agenda as Brexit negotiations enter a crucial phase. He described it instead as a “show of solidarity”, adding that Ireland plans to remain “at the heart of Europe”.